Primary Audiology (New York) - Book Appointment Online! 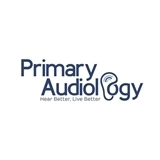 Primary Audiology is a state of the art hearing healthcare center that is committed to offering comprehensive audiological services to our patients. Our mission is to reach out to those with hearing difficulty and address their hearing and communication needs.